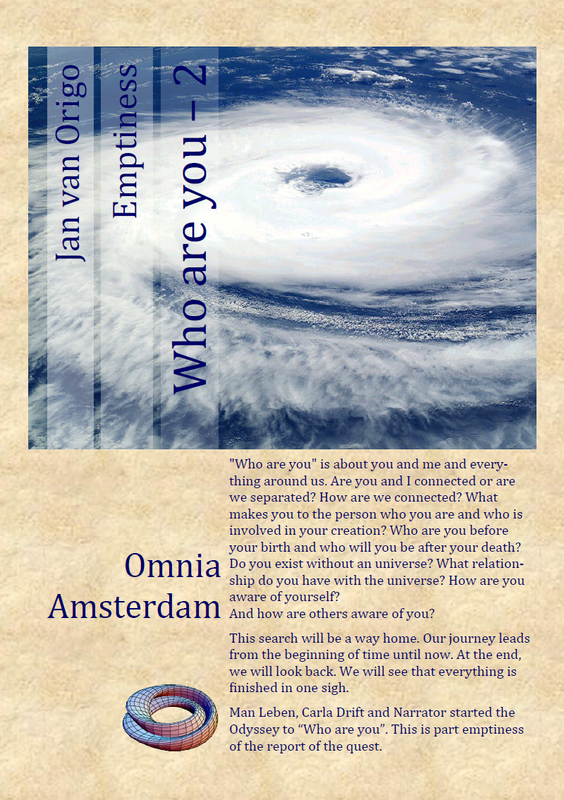 Posts from this blog bundled as blook “Who are you part 2.3: Emptiness” are published as E-book on the website of Omnia – Amsterdam Publisher. Section 2.3 is an exploration of “emptiness” during a four-day sailing trip with the tidal flow on the Wadden Sea, where Carla Drift, Man Leben and Narrator first survey “emptiness” in the form of “empty from” and “empty to”, then consider “emptiness” as “being whole” (or “ursprünglichen Ganz Heit” in “Being and Time” by Martin Heidegger) and thereafter perceive “emptiness” as uniqueness – in unity and unicity – of everyday life superimposed within “being whole” as answer to the question “One, what is that?”. This exploration of “emptiness” provides an introduction and commentary on the Buddhist Heart Sūtra. This entry was posted in Five, Five - Emptiness and tagged being whole, boat trip, e-book, emptiness, empty from, empty to, Heart Sutra, Jan van Origo, Martin Heidegger, Odyssey, One what is that, quest, survey, unicity, Wadden Sea, Who are you on 19 July 2015 by Jan van Origo.